Older teens will adore the dark humor that turns age-old tragedy into this clever modern comedy. Shakespeare’s star-crossed lovers are having some very supernatural problems. The Montgomerys are a family of zombies. Their sworn enemies, the Decapitates, are zombie hunters. When Juliet’s cousin Ty kills Romeo, Romeo becomes a zombie, making the Montgomery family proud. Soon after at the Decapitate’s costume party, Romeo and Juliet meet and fall in love, but poor Juliet Decapitate doesn’t know her love is one of her undead adversaries. 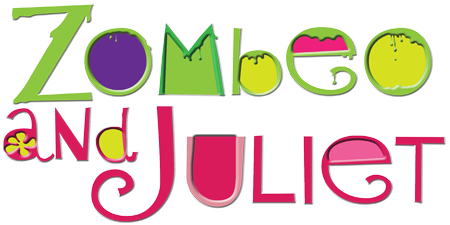 It isn’t until Romeo kills Ty and gets banned from the mall — tragically cutting off his Orange Julius supply — that Juliet learns the truth about her love. Read more...She is faced with a difficult decision: does she abandon her family for her true love or does she perform her family duties and send Romeo to his grave for good? Finally, a version of Romeo and Juliet where your audience won’t know the ending!